Posted September 27th, 2011 by Yvonne Hawkey & filed under Phono Amplifiers, Rega. Just what the market needed ! 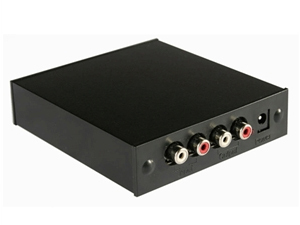 Compact, well made, very affordable with the classic Rega sound â€“ add a decent analogue to digital converter plus USB connection to the mix and you simply canâ€™t go wrong. Products like this bring a huge smile to my face and honestly make me feel young again.